Here's a repost of a personal, opinion piece as a follow up to the piece I just posted by Mastral a few days ago. Although written a couple of years ago, it's evident to me it still applies, if not even more widespread today as the underlying forces described become even more threatened by the cosmic shakeup occurring on the planet. And explains why the overt zealousness to the point of almost cursing 'godless, non-believers' exists more in this faith than any other I've come across in my inner and outer journeying. Note: this was not written as a personal attack or singling out of those holding Christian beliefs and that faith in any way, but a questioning on what may really be at work behind the scenes to produce such a unique mindset. 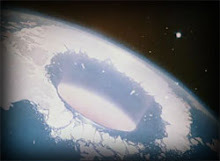 A Mass Interdimensional Psy-Ops Programme? If I happened to be home on a Sunday, whenever I could I would watch potential Christians on television about to be ‘saved’. Those downtrodden, depressed, diseased, et al who had arrived looking to the charismatic minister preaching sometimes to thousands in an auditorium or stadium for their salvation. The entire process fascinated me for years. Why? Because I was never sure whether yet another soul had, in fact, just (spiritually) died and been born again to Jesus. Or whether an entirely more sinister drama had unwittingly been given permission by these innocents to unfold. While the ritualistic laying on of hands occurred – more often while the latest human church acquisition was in the process of an emotional breakdown – I would be watching very carefully. When the person was asked whether they accepted Jesus into their life and heart and they answered ‘yes’, essentially what they were doing was laying down of their sacred free will. Not unlike the disciple in India making a commitment to serve her/his guru, his philosophy and all he represents, in exchange for the much-touted peace that the disciple claims to then experience. It’s an exchange of energy that takes place. Whether conducted through the above Christian ritual or the more subtle, new age varieties. My big burning question regarding Christians, though, has always been: ‘Giving over of their free will so overtly to what?’ I’m not doubting something potent and energetic at an ethereal/astral level takes place when these new Christians supposedly ‘give’ themselves to JC. Yet, after feeling ambiguous about it for ages, what I currently intuit and feel clairsentiently is that this power is not and never has been anything that relates to the powers of Light and the Creator God/dess of this planet. I sense this is part of an elaborate hoax, eons worth of programming at an incredibly deep level of humanity's psyche. A hoax that has used the (re-written) bible to justify its existence. And the astral imposters impersonating g(o)odness during this born-again metaphysical experience and the sensations visited on these ones, are all means to the darker dimensions harvesting unwitting souls for their own lethal and psychically-imprisoning ends. 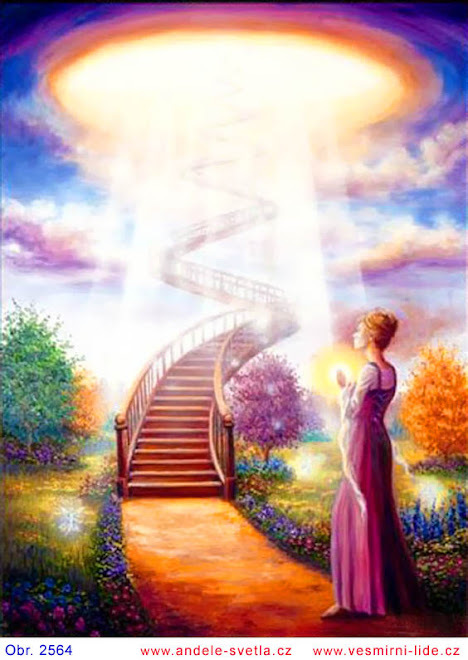 “When people project their hopes, fears, desires, etc onto a spiritual target like "Jesus" or any other visualized image, the figure takes on these vibrations on an astral level and becomes a repository of the energy they have projected. For 2000 years now people have poured their selfish desires into this thought form of "Jesus". This visualized being has received all the negative vibrations from events like the crusades, witch burnings, use to justify the reign of corrupt kings and tyrants, forced conversion of indigenous peoples, and countless other horrors. Even selfish prayer for worldly purposes and personal wealth has added to the torrent of dark psychospiritual energy flowing into this astral vortex. The result on the astral level is a gigantic, horiffic and evil energy being that feeds vampirically off it's worshippers and harvests their souls. The true God does not have a human image or visual form; it is too far above the manifest realm of concrete images or manlike figures. DO NOT BE TRICKED by a thought-form that is steeped in millennia of negative energy. It has taken on it's own life now and craves souls to consume”. Apart from what may be going on astrally when these folk give their souls over to their ‘saviour’, there are many other disturbing common denominators they share that have always aroused suspicion in me. Now I’m not saying the above is not true of all the other religious and spiritual paths and their adherents. It’s merely that Christians behave differently than any other of these toward the rest of the ‘non-believing’ world. And subsequently many non-Christians become highly offended at what they perceive as invasive, fear-mongering tactics by bible-punchers. But is this not all done ‘at the Lord’s insistence’? Then we should ask: who is the Lord? I’ve heard constantly how the Lord guides his flock to convert and ‘save’ members of the public (even if it means violating the free will of another in the process). And how dissing anything and everything that is not in alignment with the biblical take on everything from evolution to spiritual practices and everything else in between is not being closed-minded, but just unrelated to ‘true’ spirituality. Yet, no matter how the ‘spirit’ has moved powerfully in the lives of Christians as they claim, when they feel threatened by viewpoints different from their own, recalcitrant in their own self-righteousness and 100% comfortable in overriding another’s free will, it all smacks to me of way less than the forces of Light at work. And then there’s that arrogance of ‘our spiritual way or the highway (to hell)’ syndrome. In my understanding and experience, no known forces of authentic Light working through a human heart and god-mind can possibly express in this manner. The way of the Lighted realms is always encouraging, allowing, a gentle, non-judgemental/accepting approach of others and their choices. It’s also, above and beyond all else, the way of completely honouring the free will of human beings. This is, in part, what the Christ consciousness expression is. Therefore, if Christ was in the hearts of these ones would there be a need for these many fear-mongering and manipulative tactics? A need to use emotional bribery or blackmailing tactics, coercion, honing in on the weaknesses and vulnerabilities of an-other, all in order to reel them into becoming born-again Christians? Perhaps it is at some level they themselves are in doubt that their chosen god and associated beliefs are actually authentic. Or is it the force which governs them moves them to obediently haul in more lambs to the mass astral-energetic spiritual slaughter house? Or a combo of both? For me, this all boils down to a single word or e-motion: FEAR. And If you’re in Fear, you cannot be basking in the higher, more liberated frequencies of Love. I’ve singled out this faith here as there is no other established authodox religion that responds to the rest of the ‘unbelieving’ world in quite the same way. I know this from personal experience as I’ve travelled extensively around the globe and into both the Muslim, Hindu, Jewish, Buddhism and other worlds of alternative spiritualities. More than anything else, the ‘unbelieving’ world continues to have great difficulty in the extreme judgementalism of the Christian expression. Frankly, I don’t see how it’s possible to be in this state of (lower) mind and still be preaching godly teachings, as they contradict each other. Whatever lower mind state or quality perpetuates in our expression is a red alert as to how we feel about ourselves. Therefore if Christianity bring the peace and freedom so many proclaim, why would so many of them still remain in a state of judgement=self-judgement? Authentic feelings of peace and freedom go hand-in-hand with acceptance. First of your own self and then of those around you.